Your Ultimate Guide To Planning The Wedding Of The Year! Planning a Wedding is a big job, but, with a little planning it can also be fun! That's where we come in - with years of Wedding planning and co-ordinating behind us, as well as being experts in gift-giving and party planning industries, we are here to help you! 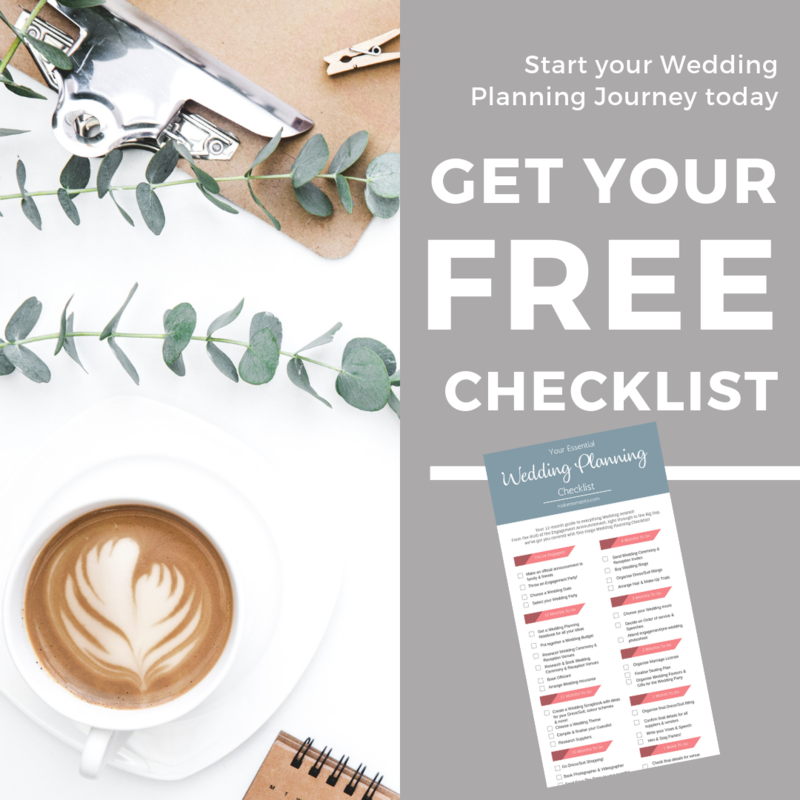 All you have to do is grab a coffee, download our FREE 12-month Wedding Planning Checklist, and in no time at all, you'll be on your way to organising your dream wedding! What does the checklist include? 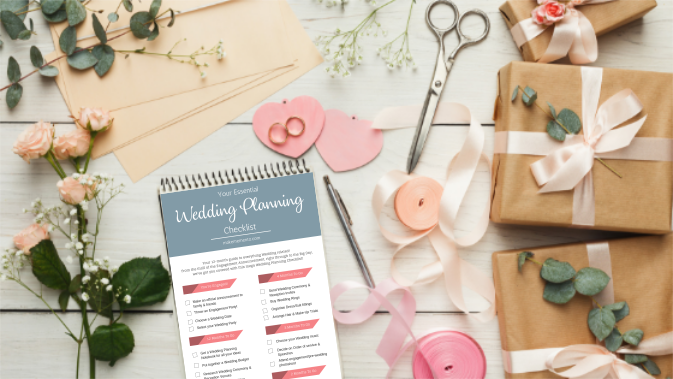 Your free downloadable checklist will take you through every step required to plan the perfect Wedding! The 12-month guide takes you from the Engagement, right through to the Big Day, giving handy tips and reminders on all aspects of Wedding Planning such as budget, organising vendors and suppliers, planning Bridal & Stag parties, and running through table plans. Simply use the checklist to keep up-to-date with essential tasks, ideas and plans, and tick them off once they're complete! 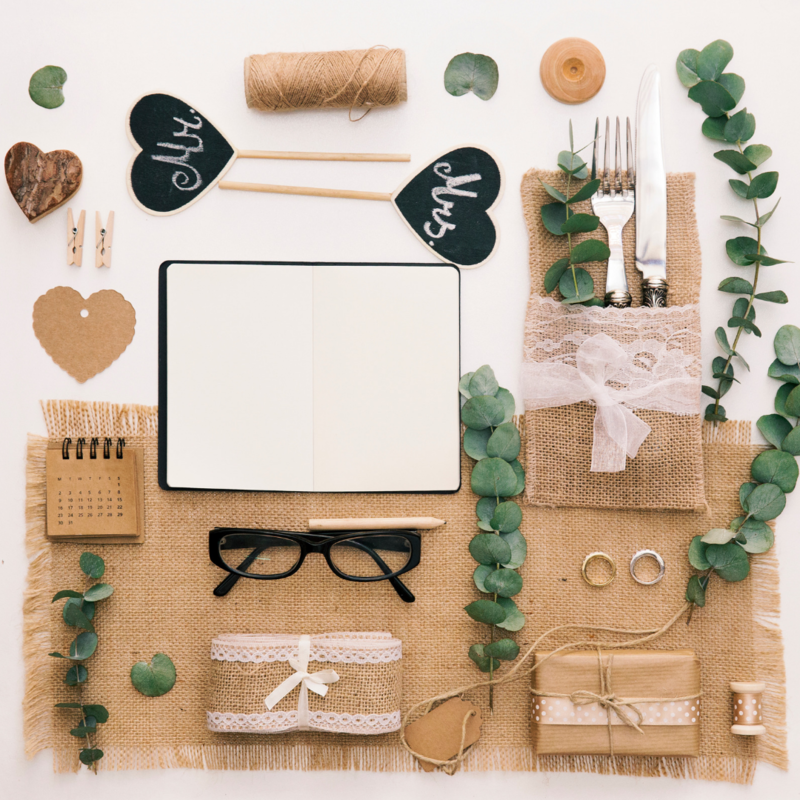 And, if that's not enough, scroll to the end of this article for an EXCLUSIVE offer on a must-have Wedding Planning item! What other resources should I use to help plan my Wedding? As well as our regular Blog which is jam-packed with gift-guides, inspirational ideas and handy tips to help you plan your Big Day, our Make Memento Shop is also filled with essential items for your Wedding journey! From Engagement and Bridal Party kits, to Wedding Ceremony & Reception decorations, and unique personalised gifts & favours for your Wedding Party, we've got it all! Don't forget to use voucher code THANKYOU10 for 10% off any order in our online store. Also, make sure you scroll down to the bottom of this article for an exclusive treat from our store, not to be missed! As well as our resources, there are some brilliant sites out there geared to helping you organise your special day. Coco Wedding Venues - A Curated Collection of Wedding Venues for the Style-Focused Couple. Wed2B - Luxury wedding dresses, bridesmaid dresses, prom dresses, and bridal accessories. Easy Weddings - A Curated list of premium Wedding Suppliers. 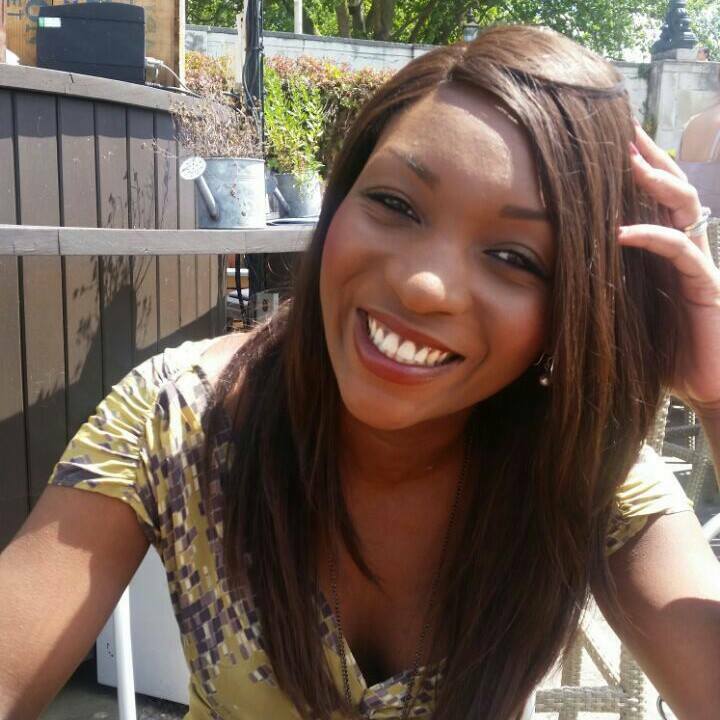 Weddings, Brides, Dresses & More - A busy Facebook Wedding Group with over 100,000 members. Here's an EXCLUSIVE treat to get your Wedding planning journey started! You came here for your FREE downloadable Wedding Checklist, but that's not all! To help you get your plans started, we've got an exclusive offer for you! We're giving you 25% off a Luxury, Personalised Wedding Planning Keepsake Box to store all your important Wedding plans and memories! Handmade to order, our Wedding Keepsake Boxes are available in 5 sizes and come complete with the option of a padlock and key to keep your precious items safe! 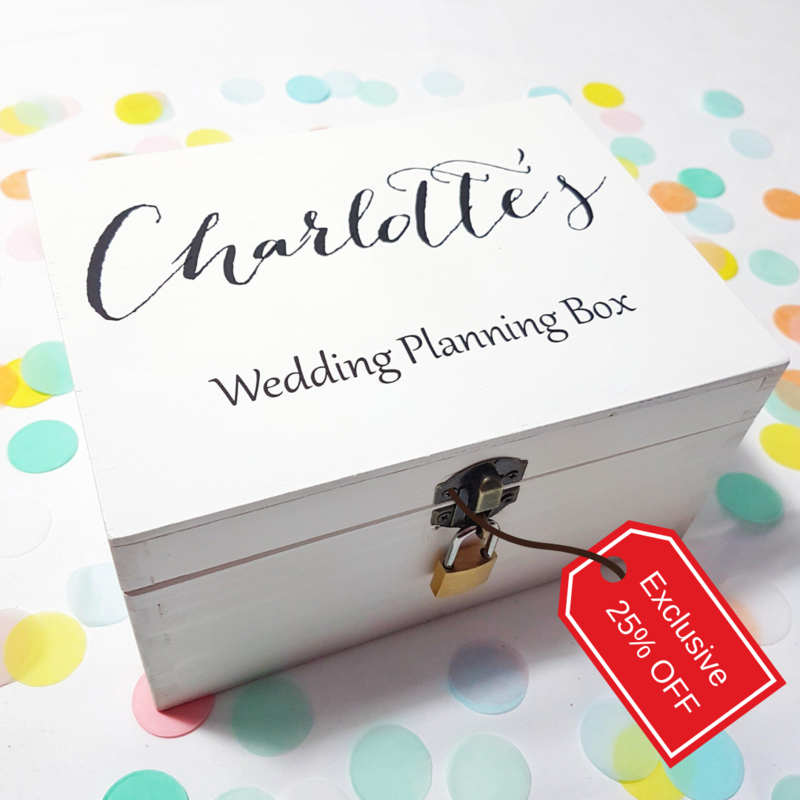 Click on the link below to order your bespoke Wedding Planning Keepsake box now, just add to cart and use the discount code to enjoy 25% off! Voucher Code: WEDDINGPLANNING25. Happy Planning! Get 25% off your Personalised Wedding Planning Box Now! 5 Awesome Father's Day Gift Ideas! 10 Romantic gift ideas your partner will love! 6 things we loved about 2015!